Please join us in celebrating Fiesta Week at the Northern Portugal Cultural Centre. Our Fabulous show and delicious food will definitely put a smile on your face. Our Pavilion opens at 5:30 pm on Thursday, June 25th and Friday, June 26th and Saturday, June 27th at 4:30 pm. Your Fiesta Week Passport is your admission ticket to all the Fiesta Week pavilions can be purchased at our pavilion. To celebrate 60th Anniversary of Portuguese Immigration to Canada on May 13, 2013 the NPCC in collaboration with the Oshawa Portuguese Club conducted a series of interviews and released a video which documented some of the stories of Oshawa’s Luso pioneers. 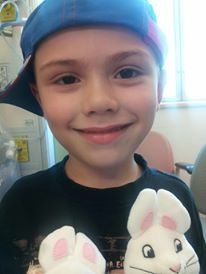 Our 6 year old son Tristen Nathaniel Silva was diagnosed in December of 2012 with Acute Lymphoblastic Leukemia (A.L.L.). To us, he was a miracle baby in every sense. After saving money & getting a line of credit, we had him by way of in-vitro-fertilization. After a failed first attempt, the 2nd one was successful, he was the perfect baby. Tristen has this unique & magical ability to gather people around him, to see & make him smile because it is so contagious. In his kindergarten class, he is the candle, every kid gravitates to him, on his hockey team, of all the 14 kids there, the one that all the parents played with other than their own was Tristen. If & when you meet him, you will see what I mean. Come celebrate 2014 and welcome 2015 at best New Year’s Eve Party in the city! NYE at the NPCC! plus Champagne, cake & seafood at midnight. The wait is finally over and you’re invited to join us for this historic event!